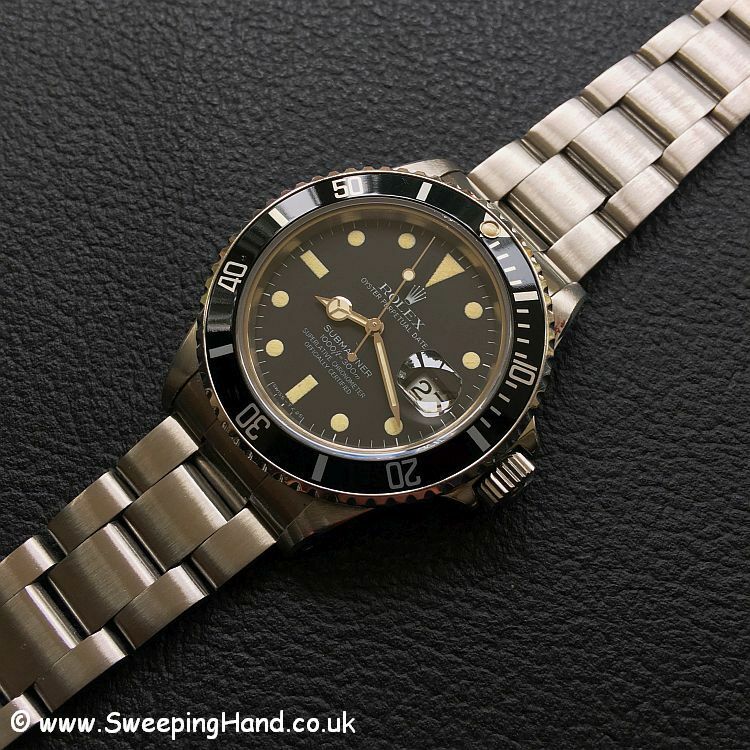 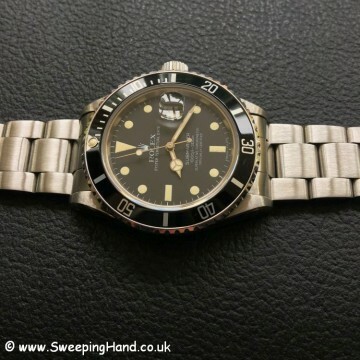 Here we have a stunning Rolex 16800 transitional matte dial from 1980. 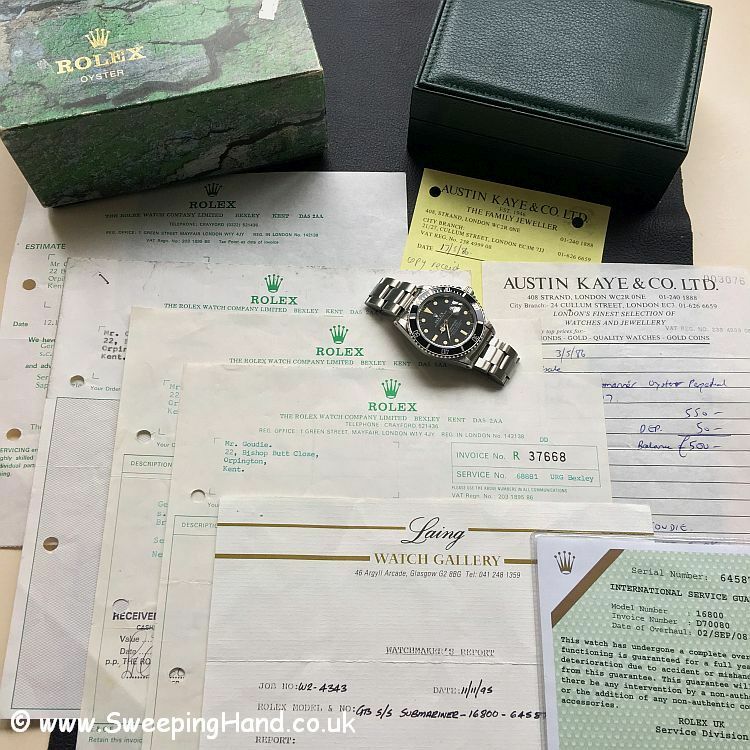 With the same owner from 1986 and with a mountain of original paperwork including the original purchase receipt and all it’s Rolex UK service records, this is a watch with all the provenance you need to show it has been treasured and well looked after. The matte dial and hands are absolutely gorgeous being in perfect condition and with the tritium having gone a lovely shade of mellow yellow. 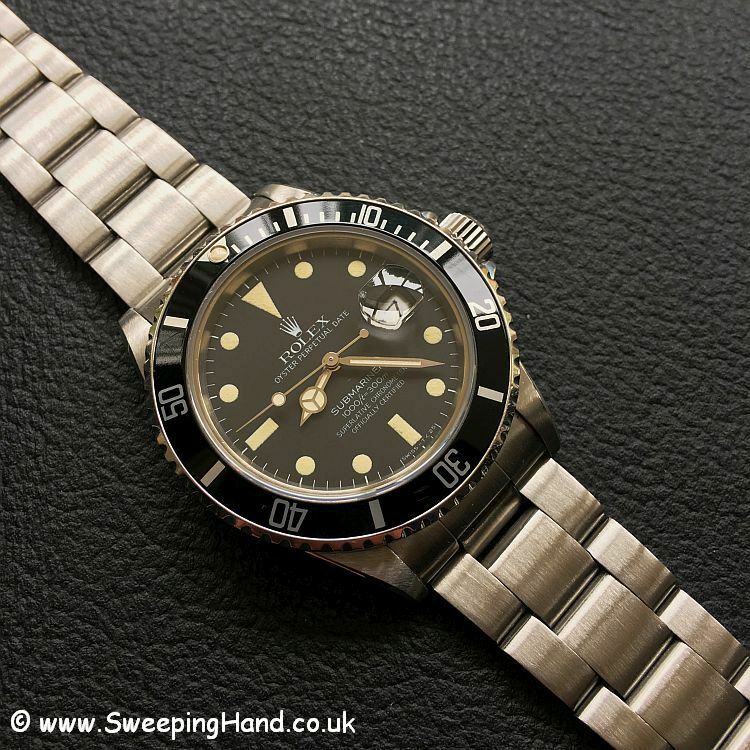 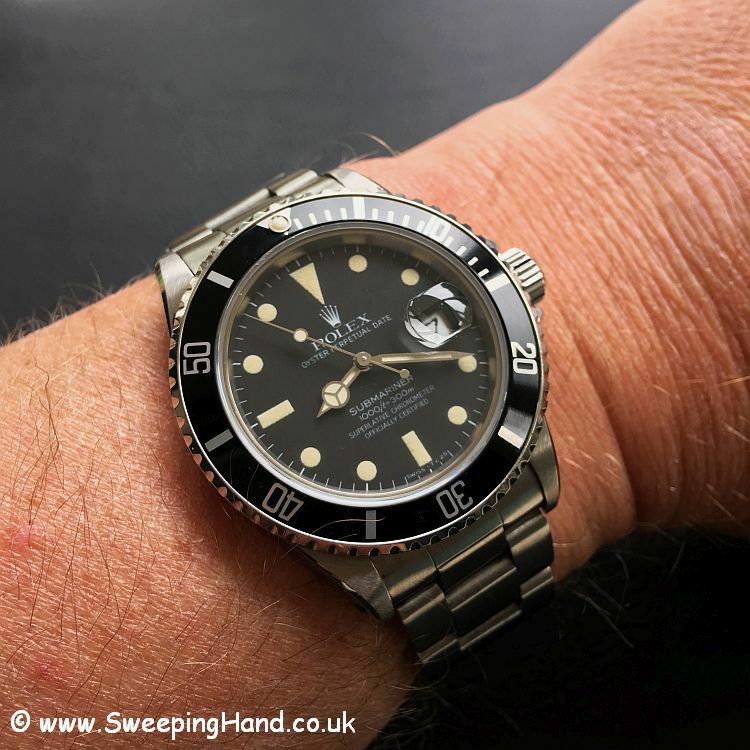 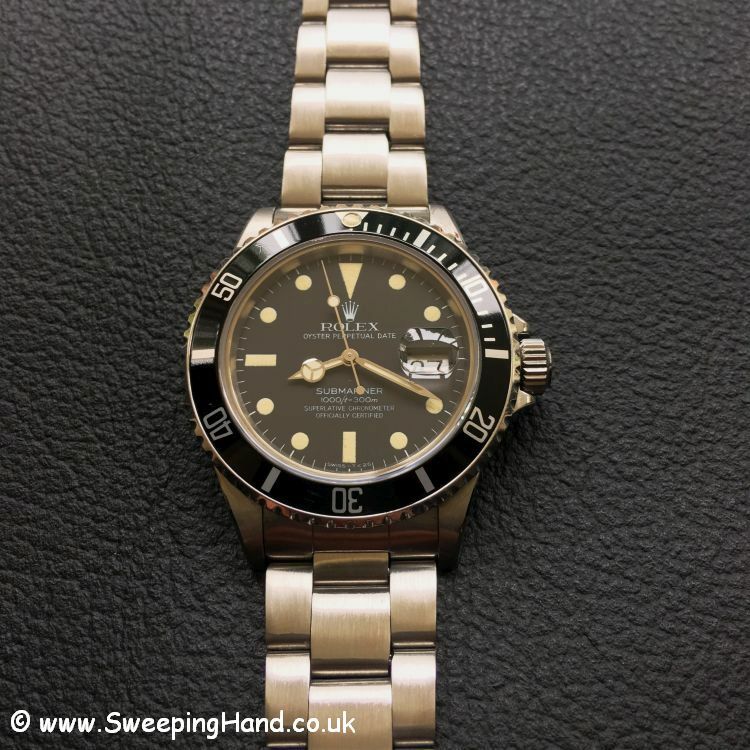 The 16800 matte dial is a rare watch having only been produced for a very short period in the early 1980’s before Rolex went to the all gloss dial with white gold surrounds. 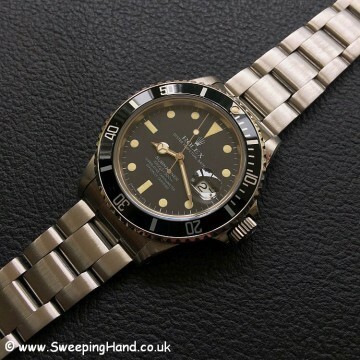 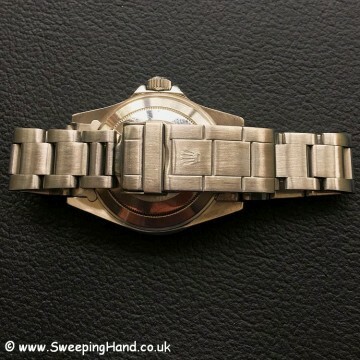 This one is in superb condition with a great case, matching faded bezel and original 93150 bracelet. 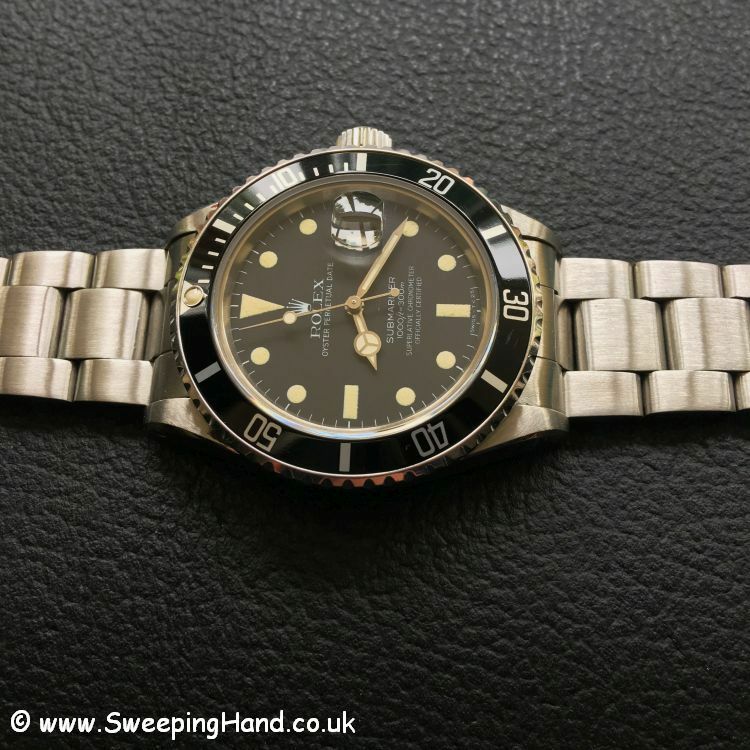 A classic watch that would sit nicely in any collection.